Samsung hasn't yet announced a price or an exact ship date, however. 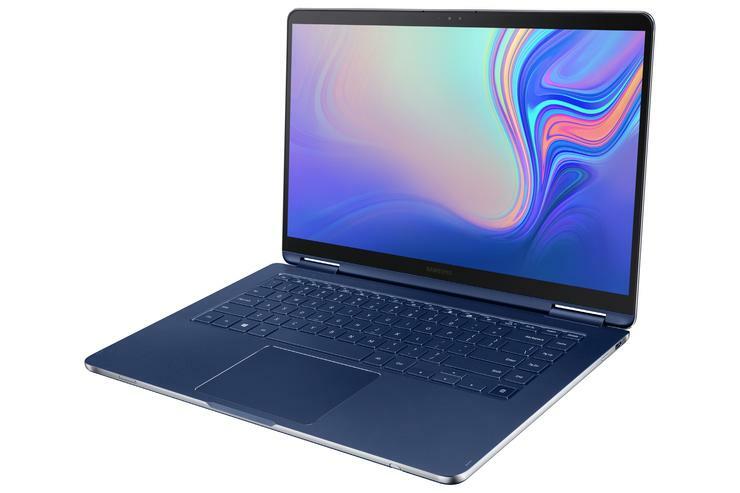 Samsung has disclosed that its Samsung Notebook 9 Pen for 2019 will boast a pair of moderately significant upgrades: Thunderbolt I/O ports, and a discrete Nvidia GPU on the larger model. The 2018 version of Samsung’s Notebook 9 Pen was a study in contrasts: While the exterior felt relatively cheap and plasticky, Samsung’s choice of materials made it exceptionally light. Yet at $1,400, it felt overpriced. And while we applauded the inclusion of the pen—and a holster that was built right into the laptop itself!—the Samsung S Pen eventually got stuck and couldn’t be removed. 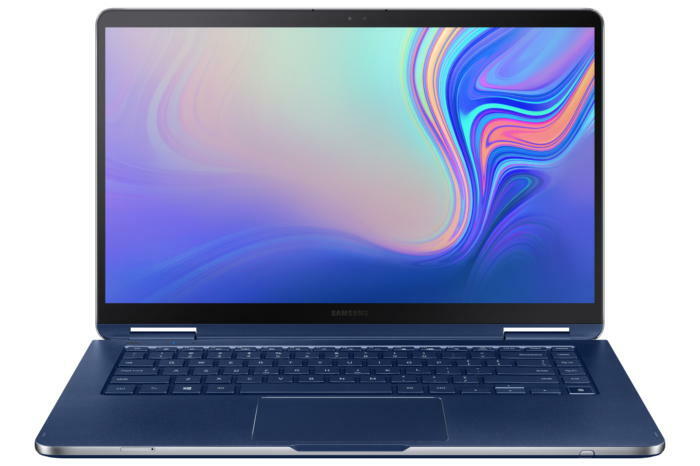 Samsung’s Notebook 9 Pen for 2019 ships in Ocean Blue. Unfortunately, we don’t know the price of the Notebook 9 Pen (2019), a key metric in determining how useful it will be. We do know most everything else, however: It will be available in both 13-inch and 15-inch form factor, at about the weight of the 2018 device. 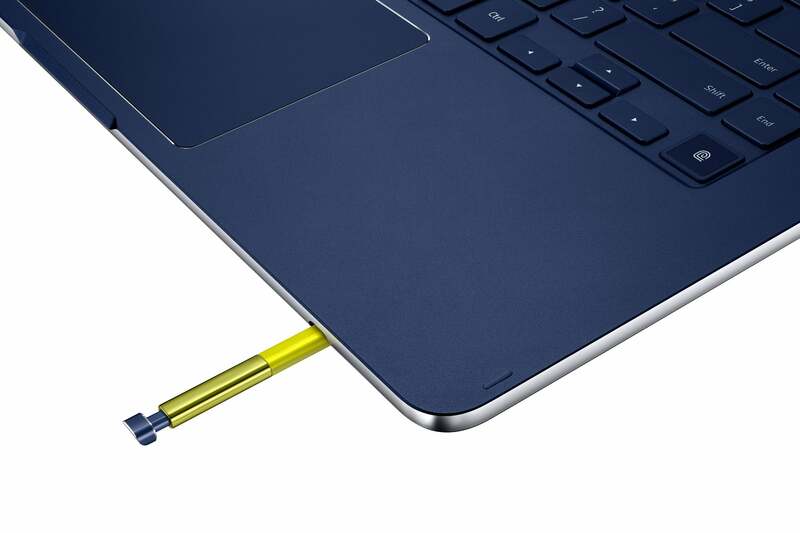 There will indeed be an S-Pen, built right into the laptop as well. But Samsung also addressed a key deficiency, at least on paper: Thunderbolt, the next-gen I/O standard that’s appeared on a few high-end notebooks, and can be used on high-end monitors. It’s also a forward-looking technology for external GPUs, a niche technology that could allow a notebook to turn into a gaming powerhouse when docked. Until then, though, the 15-inch model includes an Nvidia GeForce MX150 with 2GB of RAM. The 2018 versions didn’t include a discrete GPU. Samsung is including a three-month trial of MyScript Nebo to translate your inked notes into digital text with the Samsung S-Pen, which apparently now ships in an attractive gold color.